When you dream of a clutter-free house in IG6 with more space for storing new objects or just with more free space then a good start is to call 020 8610 9182! 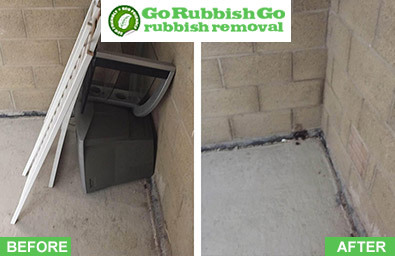 Our crew will take care of the difficult tasks involved in disposing of all the waste. We provide awesome Barkingside house clearance services for our local clients because we know how many benefits a de-cluttered house gives you! Trust Go Rubbish Go and you will not regret it. With a vast range of IG6 house clearance services, professional staff, equipment and fabulous customer service, we are exactly what you are looking for. There is nothing better than a professional house clearance IG6 solution at a lower cost and that’s exactly what is included in our services. Our services are the cheapest in the IG6 area. It is not obligatory that high quality service should come with a higher price. Trust us and we will prove it to you. Talk to our experts on 020 8610 9182 and request a free quote or ask our representatives about our Barkingside house clearance prices. You will find they are so low that they can easily fit in every budget. Not to mention the numerous discounts for our local clients in Barkingside that will make our services even cheaper. What Makes Our House Clearance Team the Best in Barkingside, IG6? The professionalism of our Barkingside house clearance team is what makes us the best at what we do in town. With numerous combined years of experience, a lot of knowledge, skills and the best equipment we can deliver all that’s needed to meet your expectations. Our men are not afraid of dark basements with steep stairs or spider webs, rusty objects and dusty rooms. 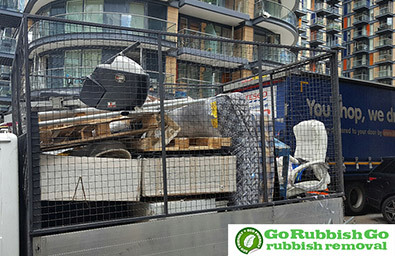 Dealing with huge amounts of rubbish or old useless objects is not an easy task, and it’s often frustrating. The skills and experience of our crews will save you a lot of efforts and time in your IG6 house clearance endeavour, especially if you don’t know where to start from. Saving time and efforts is definitely a great advantage, and this is what we offer you too. We will do everything according to your requirements and expectations in order to make your Barkingside house look like new again. Our IG6 house clearance crew is skilled, professional and careful, so you get what we promise – nothing more or less. No extra charges or fees for unexpected services. The best thing is that usually at the end of the day you can enjoy a completely de-cluttered house. Our flexibility is such that you can change the appointment for your house clearance Barkingside at the last moment and yet we can accommodate you. If you book our team to clear your loft or basement, but you decide that the cellar needs decluttering more desperately, we can handle it. Our crew can assess every situation and give you the best solution for the best price. Thanks to our wide range of services, such as loft, basement, garden, garage and shed clearing, we provide a complete IG6 house clearance solution for all the corners of your house. We also have complementary services, such as collection of waste with special pick-up vehicles, disposal at recycling centres, recycling, and more. 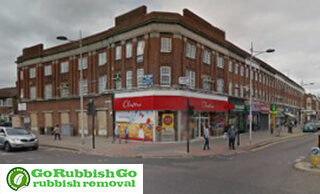 Don’t postpone and book your house clearance in Barkingside today on 020 8610 9182! So what else? For instance, let’s take recycling: it is the greenest and most efficient way of reducing the amount of waste thrown into landfills. Our IG6 house clearance team can assess the rubbish and can sort it by different criteria, such as type, size, material, etc. This will facilitate its disposal and recycling. We are an eco-friendly company and we take care of public safety and the environment. House clearance in Barkingside with us is much easier, thanks to our specialized pick-up trucks. They can fit bulky objects or even scrap metal, furniture, and other big items. There are numerous surprises in Barkingside to explore even if you have only a couple of hours and you don’t know what to do. As part of the London Borough of Redbridge, Barkingside is a big and densely populated district yet it has the tranquillity of the outskirts of London. The green nooks in Fairlop Waters Golf Course and in the adjacent Fairlop Waters Country Park and the Barkingside Garden of Rest are perfect for a relaxing walk, while numerous stores, eateries, pubs and shopping centres along the Cranbrook Road are great places to spend a few hours.